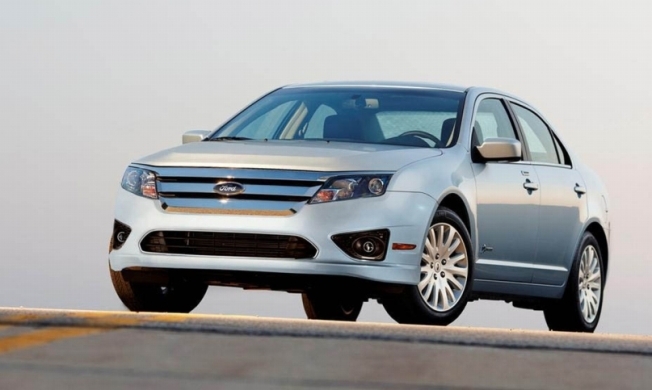 The 2010 Ford Fusion Hybrid can go more than 1,300 on a single tank of gas. That's like going from New York to Miami without stopping to fill up. In the shadows of the nation's capital, Ford set a new standard for future cars. Monday night, Ford's hybrid, the 2010 Fusion, managed to go more than 1,300 miles on a single tank of gas. That means you could drive a Fusion straight from New York to Miami without stopping to fill up. A team including Ford hybrid engineers, a fuel efficiency expert, and NASCAR star Carl Edwards started the "1,000 Mile Challenge" on Saturday morning in Mount Vernon, Virginia. They were still going along the George Washington Parkway by late Monday night, getting an average of 81.6 miles per gallon. Ford's fusion hybrid test drive reached D.C. after 1,300 miles on just one tank of gas. Besides giving us another reason to drive hybrid cars, the 1,000 Mile Challenge also raised funds for the Juvenile Diabetes Research Foundation. More Eco-Driving tips for all drivers are available from Ford here.